Here’s a list of 10 weird coffins – why get buried in the same boring old box that everyone else uses? We’ve seen a guy buried in a Pabst Blue Ribbon coffin, we’ve seen the bizarre fantasy coffins of Ghana. Here are ten more weird coffins that prove just because you’re dead doesn’t mean you can’t still have style. 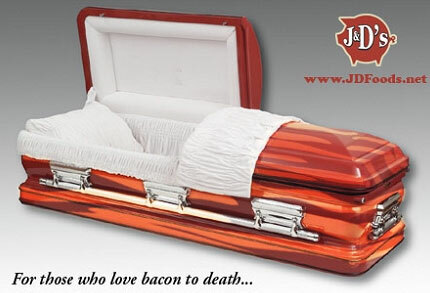 Too much bacon may kill you, but bacon will never leave you, thanks to this weird coffin with bacon design, from J&D’s, creator of such glorious products as Bacon Salt, Baconnaise, and, uh, Bacon Lube. The bacon casket is composed of 18 Gauge steel with “Premium Bacon Exterior/Interior.” You also get a bacon air freshener with it – not everybody’s cup of tea, but when you’re in a state of decomposition you should take what you can get! The bacon coffin is yours for $3,000. After avid hot-rod collector James Calabrese passed away from a heart attack, Karen kept her promise. His casket was tricked out with parts from his 1958 Chevy Biscayne, along with V8 engine headers, dice and the license plate. “That’s the fastest casket I’ve ever seen,” said a family friend. 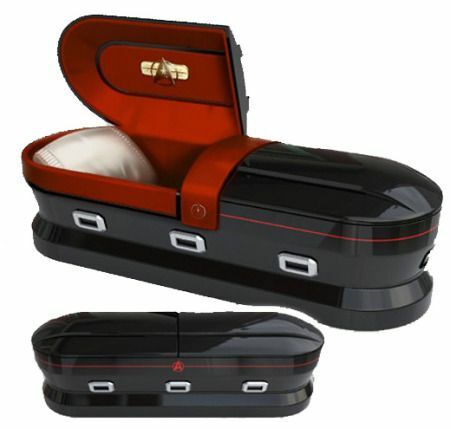 When you’re ready to get beamed up into heaven, be sure to be buried in this weird coffin with a Star Trek design. It’s created by a company in the USA called Eternal Image, which allows you to choose between Star Fleet, Federation of Planets, or Klingon design. Whatever design you choose, try to make sure you’re sent to the Genesis planet. Being dead doesn’t mean you shouldn’t also be comfortable. These coffin couches help drive that point home. The following coffin couch/sofa was sold on Etsy by somebody named VonErickson for $3500. 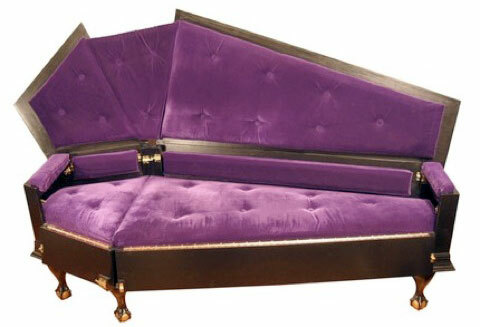 The coffin couch came in purple, red, or black velvet. (Sorry, folks, it’s gone). The obvious choice for rock’n’rollers everywhere. 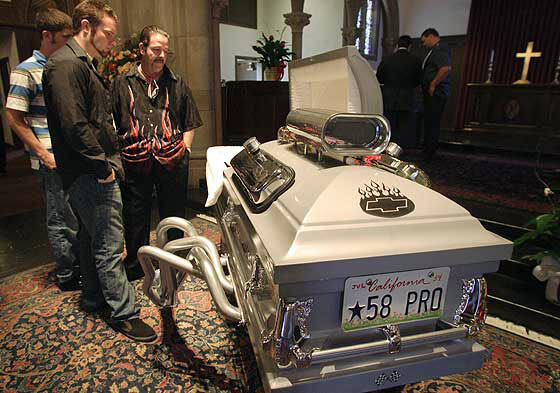 The family of a teenager chose to bury him in this guitar coffin, made to look like the one he once loved. 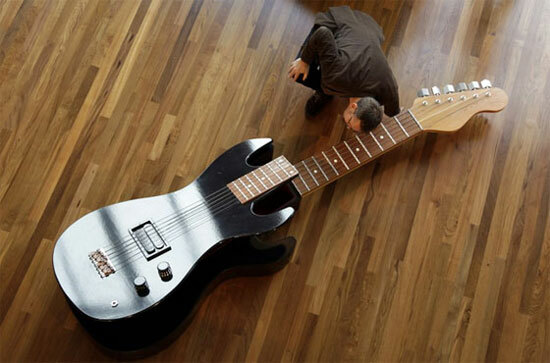 The guitar coffin comes from Crazy Coffins, located in the UK. They are a subsidiary of Vic Fearn, which has been making coffins since the late 1800s. Along with the guitar coffin, Crazy Coffins makes interesting, odd caskets made to look like hot dogs, beer pints, even a replica of the red bell hanging outside St. John’s church in Lincolnshire. 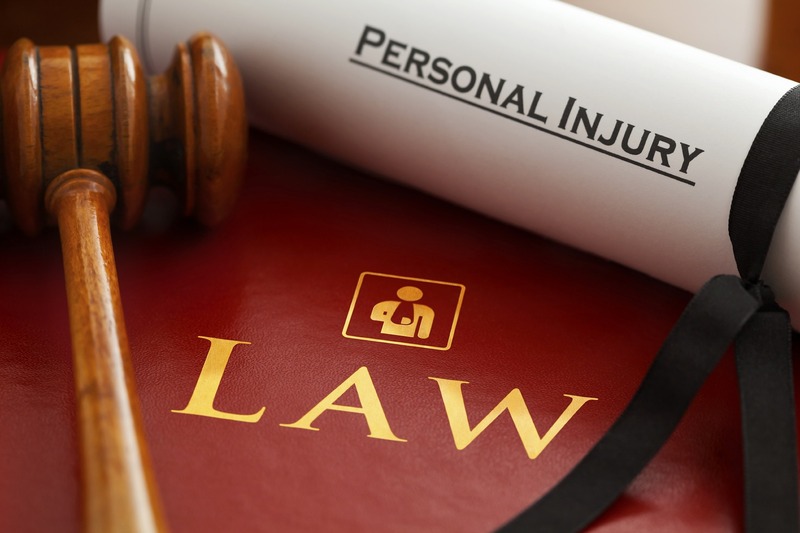 An accident at the KESMARC equine therapy center in Florida causes a hyperbaric chamber explosion that kills a woman and a horse. More soccer mayhem where an Egypt soccer riot kills at least 70 people. 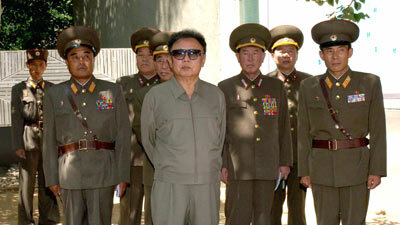 North Korea dictator Kim Jong-Il is dead. The 9/11 attacks consisted of a series of coordinated terrorist suicide attacks by Islamic extremists on the United States of America on September 11, 2001.